The first time I heard of this dessert I broke out in laughter – what a funny sounding name for such a delicious treat. It’s in fact a very old-fashioned dessert, dating back to the 16th century, and it reminds me of a French sabayon – but without the eggs. 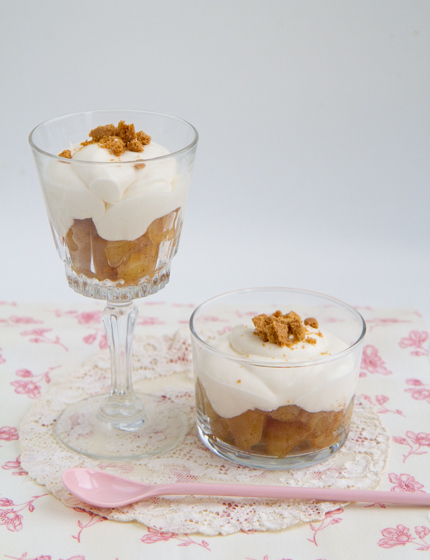 Fluffy sweet wine-spiked whipped cream, draped over fragrant apples and sprinkled with crunchy ginger biscuits make my interpretation of this British classic a real winter winner. I made this recipe in the Sweets episode of my show, you can watch it here.